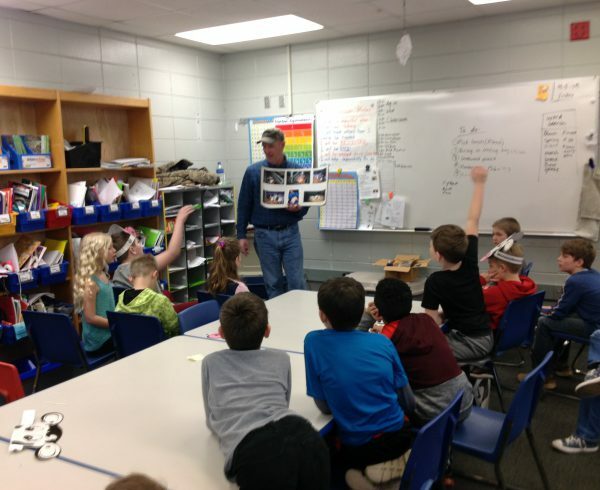 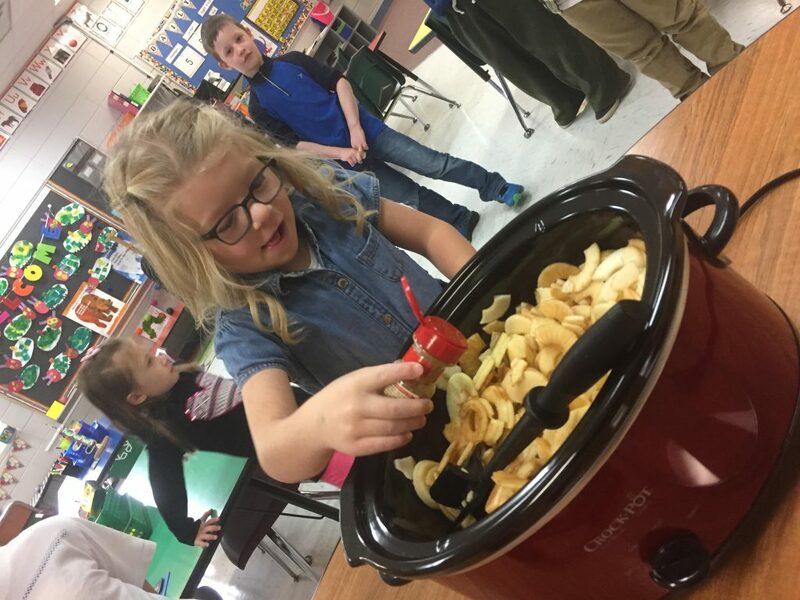 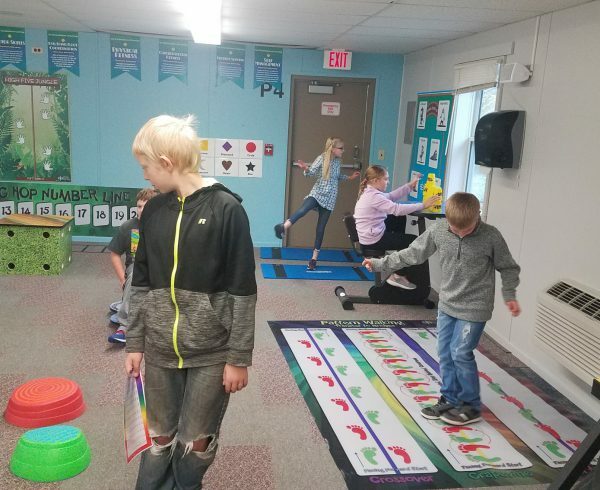 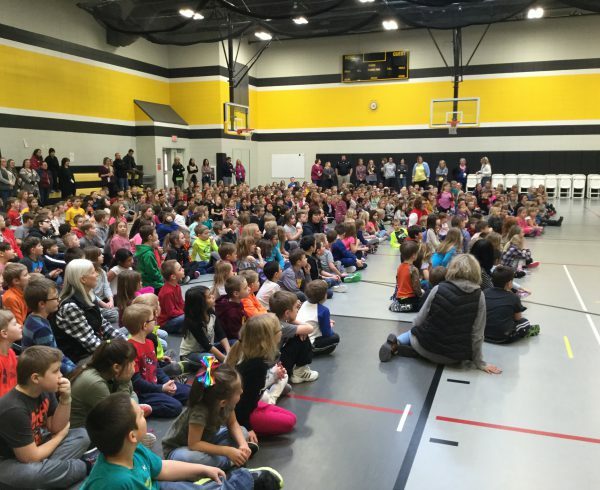 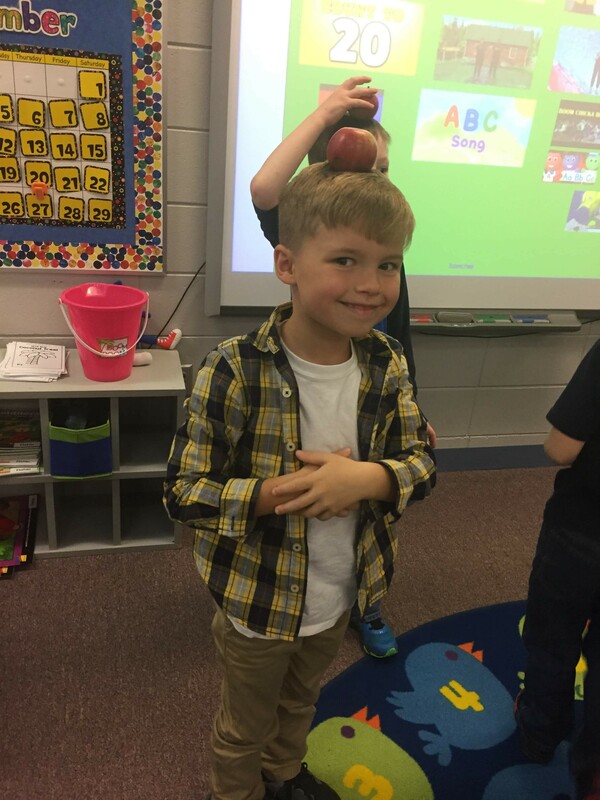 Kindergarteners in Mrs. Flatau’s class had Apple Fun Day last week. 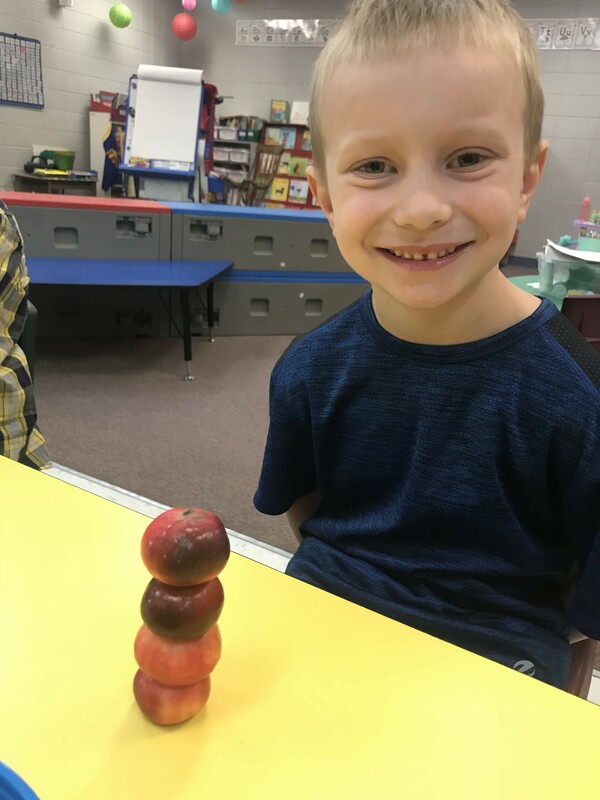 They read the book “Ten Apples Up On Top” and tried to stack apples on our heads. 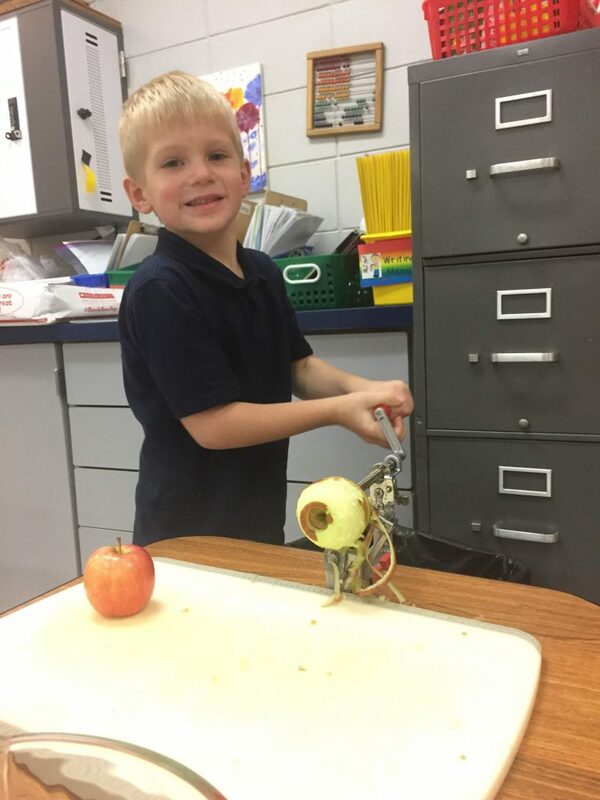 Then they made apple sauce and enjoyed stacking apples for our STEM Activity!